Hi-Rez Studios today announced that its action MOBA game SMITE, the online Battleground of the Gods, has entered its closed beta testing phase on Xbox One, the all-in-one games and entertainment system for Microsoft. 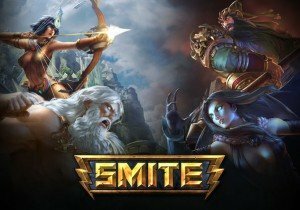 As SMITE readies for a full launch later this year, players who have taken part in the alpha phase or have been selected for closed beta will be treated to a host of new updates, features, content and Xbox One exclusives that deliver a complete experience competitively designed for console play. Hi-Rez Studios is also offering PC players a one-time account merge option to copy select progress and items from their SMITE PC accounts to their Xbox One accounts. Players who choose to link their accounts will receive a free Zeus Xbox skin for both platforms.